Comment Albatron, Germany YARBO AUDIOPHILE CABLES HIFI-9900DC-F / Balance Line Wire Model: HIFI-9900DC Balance Line Introduction XLR balanced audio connection terminal Almost all high-quality audio equipment or recording studio equipment using a three-core XLR balanced (Interchangeable Wire Resistor) Connection Terminal. This is because almost all purely professional audio equipment uses a balanced circuit. When properly used, the circuitry and equipment that balance the top structure are generally unaffected by environmental noise. 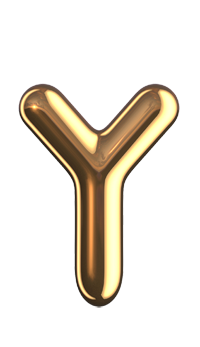 The balanced connection consists of two separate conductors of the inverted signal and a conductor that provides ground. The noise appears evenly, but in opposite phase and therefore easily cancels out at the connector. In essence, it is the same technology used in noise cancellation headphones. <New Sound magazine 59> February 2006 published an article / Author: Liu Jian issue of unbalanced (RCA) output and a Ping Heng (XLR) outputs exactly two output modes which one is better, from audio manufacturers until audiophiles There are a wide range of different opinions in the crowd. People who support unbalanced output think the output is the most delicate, gentle, and musical, and the XLR is not a rival to top-of-the-line RCA players like the Hi-End brands JADIS, AUDIO NOTE, MBL and GOLDMUND This is the view that they do not support the balance of the product, many models only RCA output, the attitude of music and fax is even more evident, even his flagship product priced at around 800,000 KW KW before and after No balance input. Change to the other side, people who support the balanced output is that this output sound is the most full, more dynamic, more extended, more musical, such as Gui Fung, FM, BOULDER, PASS, MARK, KRELL, CELLO, Golden Throat and many other Hi-End brands are more of this view, many of their products are recommended balanced output, or even only balanced output. However, I am not really caught up in this controversy. I think professional and non-professional equipment may not share the same standard. Professional equipment such as some monitoring equipment requires long-distance transmission without interference from outside clutter signals, requiring a higher signal to noise ratio, OK, balanced output mode will be more advantageous, more appropriate. However, in the non-professional field, especially in home use, the transmission distance is not a prominent issue, and the advantages of balanced output are also weakened. Balanced and unbalanced outputs are based on the same benchmark. Take what you need, what are you talking about? Of course, although I hold this idea, but in actual use process is still more emphasis on the use of RCA lotus head wire instead of XLR XLR head, which is purely inertia. But this time I got my hand is a Yabbo Yarbo "HIFI-9900DC-F" balance line, it seems no longer come by inertia. It should be said, Yarbo Yarbo "HIFI-9900DC-F" balance line appearance is not how striking, its outer diameter of only eight millimeters, jacket covered with black PVC material, with the "new sound" Test tube those who pipe thickness, net shield body balance line side by side, almost disappear. However, it feels like words, "HIFI-9900DC-F" line body is not like other hard wire generally hard, but pliable as water snake, it feels quite good. According to statistics, "HIFI-9900DC-F" conductor material selection of Germany's 6N sterling silver and pure copper wire. The production method is to be a diameter of 0.3 mm sterling silver wire placed in the center of the conductor around the arrangement of six 0.25 mm diameter, the surface after two silver-plated ultra-pure oxygen-free copper wire, precision twisted into a circle, and then The three-conductor conductor were coated Teflon media. After the completion of the three-core wire strands with a large pitch built-in wire center, the gap filled with white cotton line, and then use 0.1 mm high-quality silver wire braid shield tightly wrapped together, while still sheathing PVC material Added special metal particles to pure sound quality. Of course, the "HIFI-9900DC-F" on the XLR terminals used at both ends of the body is not ambiguous, all of these terminals are imported and 24k gold plated on the three-pin stylus, the shell is all made of special expensive alloy material , Signal transmission is excellent. Not only that, at the input, it is also equipped with powerful imported filter magnetic ring, in order to effectively eliminate all types of high-frequency electromagnetic interference, pure music background. All welding points on "HIFI-9900DC-F" are also welded with German silver original WBT to ensure the quality. After I got "HIFI-9900DC-F", I took it out of the wooden box lined with velvet and put it on the sounding equipment, giving it a warm body. Although this is a bit of a hurry, but before the test line, this procedure can not be omitted, because the seedlings help the last to fold the seedlings. After a few days to see its performance basically stable, I just "HIFI-9900DC-F" Cary CD 303/300 HDCD player and Tianyi Winner AD-2N stereo amplifier merged between, with the Voice of America SPM-30 floor speakers for official listening, compared with the reference wire is the Rex JPX-10000. The first thing I appreciate is the album "Northern Pole North" by the new music star Li Qiuhua. Although this is a new album, but there are a few new songs, "a thousand years later," "fly forward", "write a song", "Forever Love", "Fairy Tale", "Hey Judy" and so on The popular old song is still inside the pillar. I understand the plight of the record companies in recent years. Now that the internet is spreading more and more, all the songs can be downloaded for free. It is too easy for fans to bother to listen attentively, but their appetite has become more and more The more demanding, the average level of the work is often dismissed. The record company to launch a full rookie, not only involves the high cost, the risk is greater, if the investment is not effective if the result is not satisfactory, the record company will outweigh the benefits. This kind of old song with a new song practices, although not healthy, but better able to spread the risk, will not make the album released into a market poison. I heard "a thousand years later" and found that it was a totally different feeling from the original boys' edition. There was no hoarseness, ups and downs in the song, but on the contrary, it was calm and calm tone, which seemed to be reflected or remembered. I think this song was originally written for girls. Here, "HIFI-9900DC-F" shows a solid and dignified side, especially its IF band, meaty, and with a bit charming. In contrast, the reference line will be Li Qiuhua's voice showed a simple and transparent, as fresh as the Song words. This is the trend of two different styles, regardless of Xuan Zang. I also put on the "brilliant Central Orchestra - classic male chorus" album, listening to the TV series "Railway Guerrilla" theme song "Guerrillas song." Here, "HIFI-9900DC-F" shows a rather clean sound base and a wide range of sounds, and the baritone singing voice is more tangible. Listening to "far away", I noticed that not only was the strength shown by the piano playing smooth and smooth. "HIFI-9900DC-F" treble is actually very bright, but slightly softer compared to the reference wire, there is no blunt expression. I think, Abaco's "HIFI-9900DC-F" balance line does have a good performance in improving equipment performance, although it is not a neutral neutral wire, but I believe its change will be loved by many fans. 1. OD OD: 8 mm. 2.Conductor composition: Selection of <99.9999% pure silver wire in Germany> Specification of pure silver conductor: 0.30mm 1 piece placed in conductor center 10 6 0.25mm silver-plated ultra-pure copper wire, precision twisted into a round, three-conductor Respectively covered Teflon <TEFLON> media. 3. The internal structure of the wire: The three-core wire is stranded at a large pitch and is placed in the center of the wire. The gap is filled with white cotton and then tightly shielded with SHIELDED. Layer, jacket outer (containing special metal particles) black PVC. 4. Assembly imported three-core stylus 24k gold plating, the shell all made of special expensive alloy materials, signal transmission excellent superconducting XLR terminals, to ensure long-term quality will not decline, with higher Signal level, sweeter, transparent, natural, true, restore more audio details, so that your potential of audio equipment to give full play to the perfect match the advanced HI-FI audio system. 5. All welding points are used in Germany WBT silver tin professional welding, quality assurance. Believe the benefits of using the balance line Audio fans should all know: First, the balance of the output voltage is unbalanced twice as long as the volume to open to use the non-equilibrium half, more power, the sound sounds more full; the second is because there Common ground, the overall noise when listening to a lot lower than non-equilibrium, can hear more details. And this is why only advanced audio equipment will have a balance of the terminal. 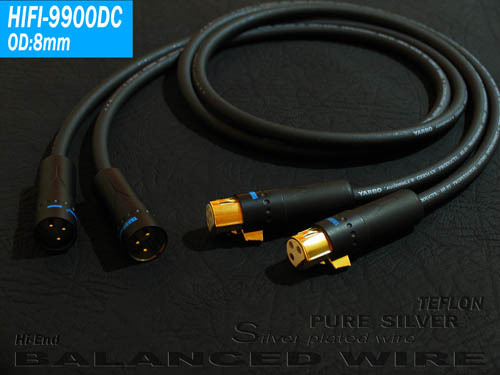 YARBO AUDIOPHILE CABLES latest HIFI-9900DC-F balance line, the core selection of high-purity silver plus silver-plated copper, coupled with advanced 24K gold-plated XLR connector, durable, practical use of solid contact, giving a very comfortable feeling. Advanced wire will not only be more careful selection of materials, taking into account the durability and stability of wire so YARBO selected Teflon coated, if the equipment on the House have balanced terminals, I strongly recommend that you use the balanced terminals, and high quality Stable balance line, you can choose the German YARBO "Ya Fort" balance line. With recommendations: the effect of replacing the coaxial line into a balance line is most obvious, but the premise is that the equipment must have balanced input and output. Sound system has boring, dark, body is not the problem of cohesion, you can consider using this YARBO "Ya Fort" balance line. There are two types of audio signal transmission, that is balanced (XLR) and unbalanced (RCA). Balanced audio output (male), amplifier input (female) port is the use of three pin connector, balanced transmission line in the three core, a core transmission positive half-wave (positive) signal, a core Transmission is negative half-wave (inverted) signal, the last core is the ground. It is the use of the principle of phase offset, the audio signal transmission process suffered other interference to a minimum, in the long distance signal transmission has obvious advantages. Non-balanced input and output ports generally use two pin connector, which has only two terminals - the signal terminal and the ground terminal. Balanced signal transmission line is not subject to external hum, other crosstalk, electrical equipment noise and other interference. Balanced transmission is obviously better than unbalanced transmission, it seems that the audio industry did not get the consensus, because some of the big sound regardless of any grade in their own products do not use the balanced output, they may think that the unbalanced transmission instead of balanced transmission more Musical taste, perhaps that the gap between the two is small, do not have to put a lot of cost in the balanced design. One sentence seems to be the footnote to this idea, that is, balanced "has obvious advantages in signal transmission over long distances", meaning that the transmission line used by the household equipment is very short, so the degree of embodiment of this advantage It may be negligible negligible. Balanced connection between equipment must also pay attention to a problem that is completely different specifications of the United States and Europe: In addition to grounding the three cores, the positive and negative two-core US regulations and the EU is the opposite (US regulation 1 to 2 positive 3 negative, European regulations 1 to 2 negative 3 positive). If the source and amplifier balance interface different specifications, can not connect to use? Yes, but the sound is reversed (the speaker is vibrating backward, the sound field narrows, and the sound is slightly boring). Can you make a normal voice? Also, it is necessary to reverse the speaker line, then the sound is completely normal. But there is a premise that must be noticed that only one of your sources can handle this. If you have another (unbalanced) source, that can not be done simply because the sound is normal after the speaker line is reversed, and that one is reversed. So still should choose the source, amplifier output balance, input interface specifications of the same model.